Wow, another month already. 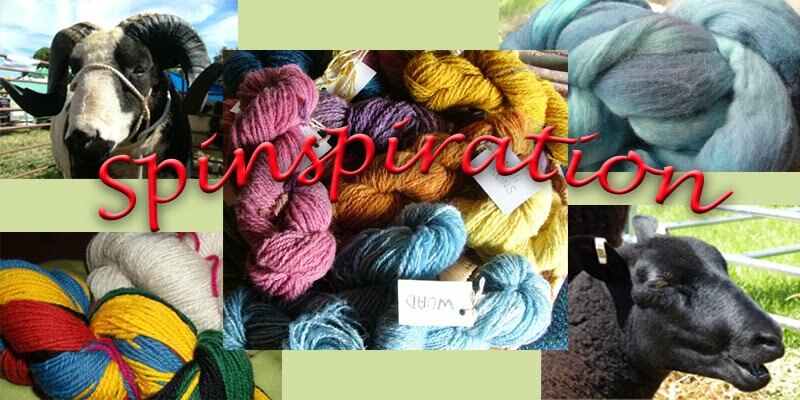 It was so lovely to see everyone linking to Woolly Wednesday last month, and to see what everyone is spinning and making. I've continued to spin more of the grey zwartble and have now carded the remaining fleece into batts to spin it up, a lovely big pillowcase full of fluffy fluff! 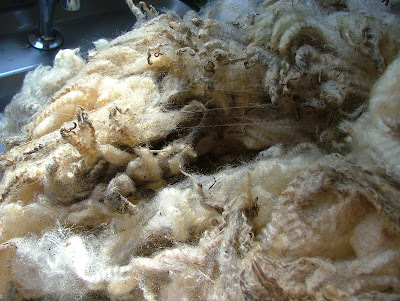 I have loved this fleece, it's lovely and long, soft and has a lovely lustre to it. Luckily there is another fleece, or is there two?, of Zwartble just waiting to be washed. So other woolly adventures this last month. 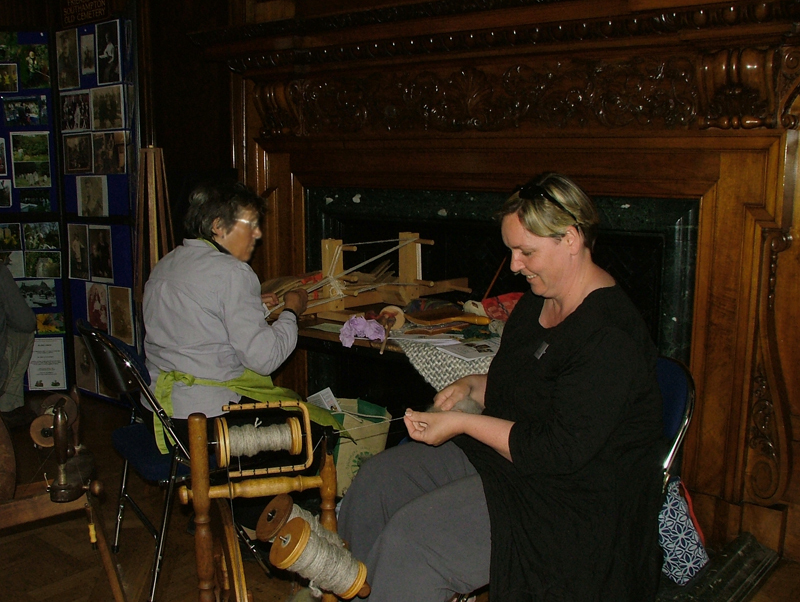 I was at a public event spinning with a friend and spinning teacher recently, had a lovely time spinning and chatting and enjoying the surroundings. I have been washing fleeces too. I have washed a Suffolk fleece which I wasn't sure about spinning but it has come up quite nice so will give it a go. It was quite dirty and had a lot of grassy bits in it, but has cleaned up nicely so I shall card some and see how it goes or use it in felting if it's not suitable. 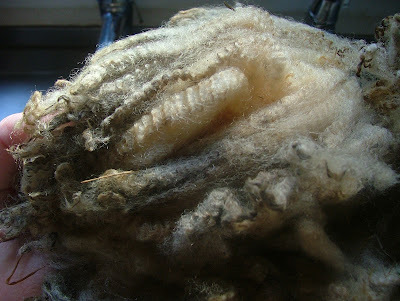 I washed a Portland white fleece which is lovely and I'm looking forward to spinning soon. There was another white fleece I had which I wasn't sure of the breed - it was so filthy it was hard to tell! Anyway I persevered with it and gave it a good clean and I think it is another Portland and the curly crimp on it is absolutely lovely, I am so pleased with how it has cleaned up. I'm guessing by the curls and crimp it is a first cut. More washing of a couple of mixed bags of fleece, these were oddments from when I sorted through numerous fleeces skirting them of the dirty bits, and I also removed coarser wool that would be no good for spinning. These have been washed for my husband Alex who is working on a raw fleece (washed) peg loom rug so the bits of fleece not suitable for spinning are perfect for this. He doesn't card the wool, just uses it in pieces drawing out by hand and applying some twist. So onto the spinning, here is some on the drop spindle - not something I do much of but I did take the spindle to the event to take a break from spinning on the wheel. Lovely rainbow colours, really should do more. Most of my spinning this month has been the grey zwartble as previously mentioned. 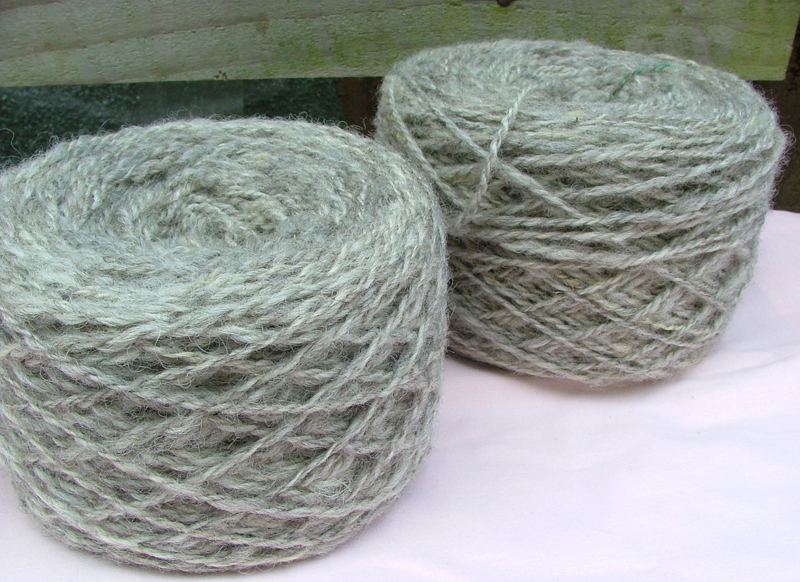 Spun into singles and plied 2 singles together I have now washed, dried and made two large balls of this wool yarn - both around 200g and measuring about 260 yards. 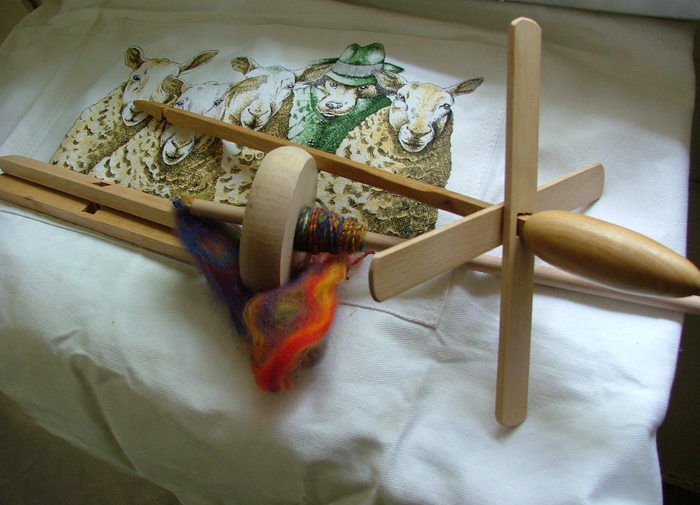 Thanks should go to my husband for his patience holding the wool while I wound it on the ball winder. 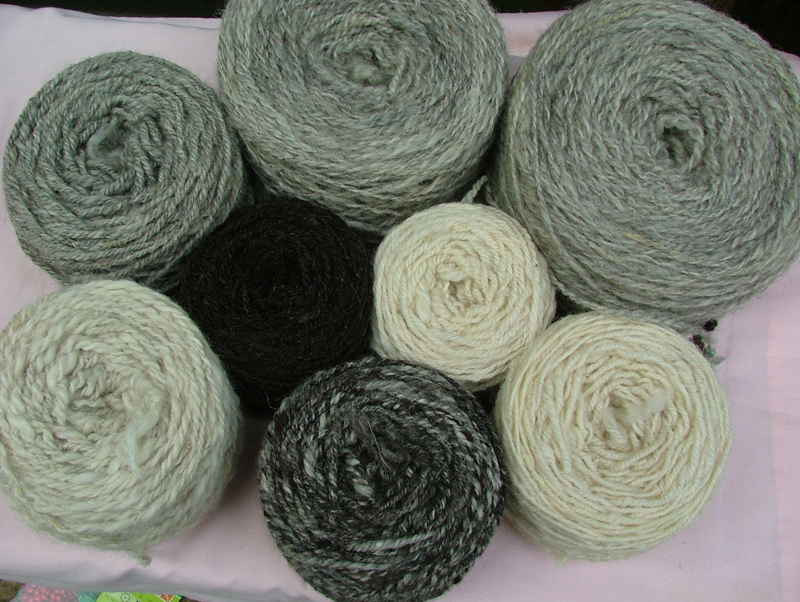 He helped my wind a few other skeins that I washed too, wool spun over the last few months but had been sitting waiting for a final wash. Just take a look at this lovely lot of woolen yarn. Now planning what to make with the zwartble but I can't make up my mind! I should have more of it once I've spun the rest of what I have carded, another 200g soon and hopefully at least another 100g, maybe 200g if I'm lucky. 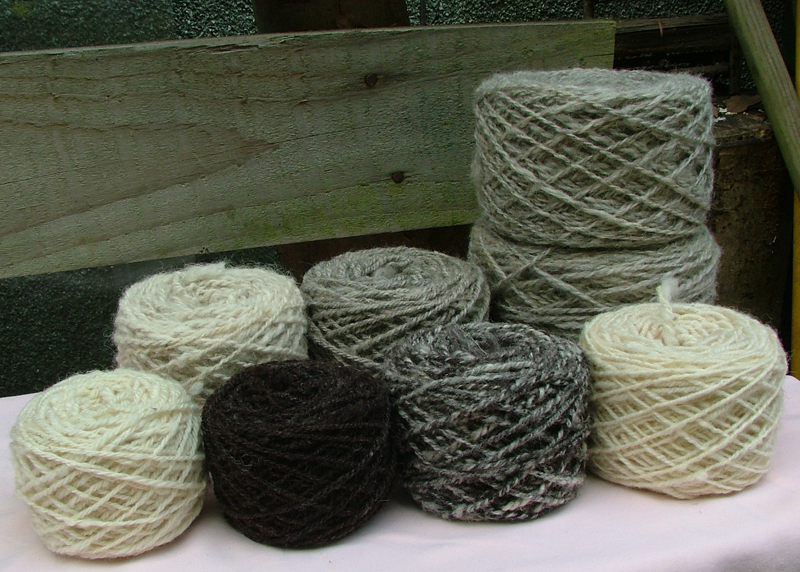 In other woolly news, I've sown some seeds for dyeing plants looking to doing some natural dyeing with them in the near future, from garden to dye pot to wonderful colourful yarn. Looking forward to seeing what everyone else has been doing.